"You'll know when visitors arrive and more ..."
You have a visitor! 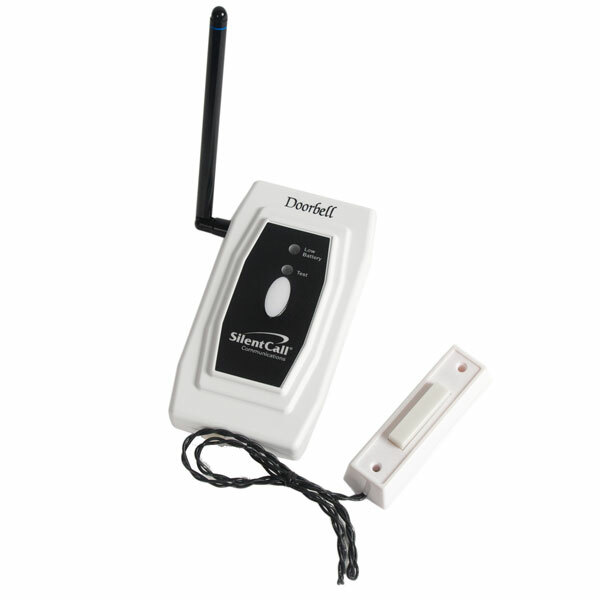 Gain an alert when a guest arrives at your door with the Medallion Series Doorbell Transmitter with Button. Supplied with a button for mounting at your entranceway, it connects by wire to a compact transmitter you'll position nearby. When someone presses the button, the transmitter signals any Medallion Series Mini Receiver. Intended for installation where there is no existing wired doorbell, it operates on two AA batteries.